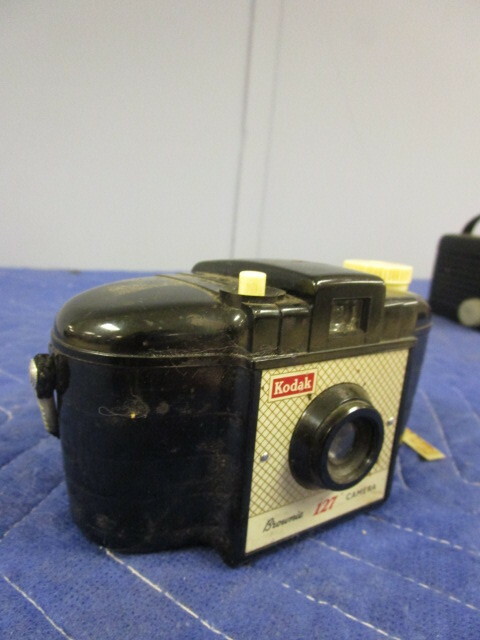 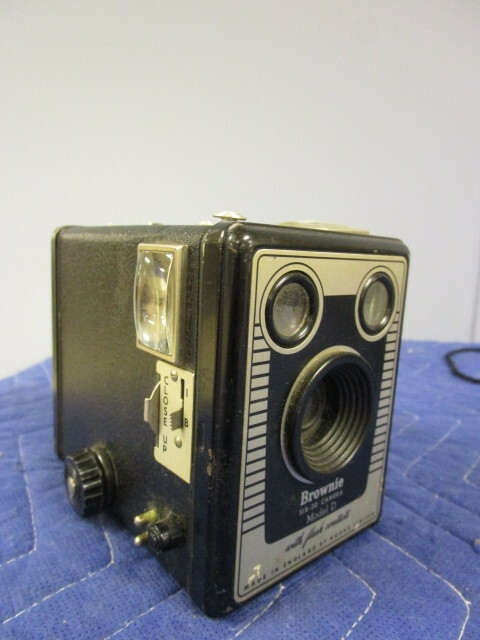 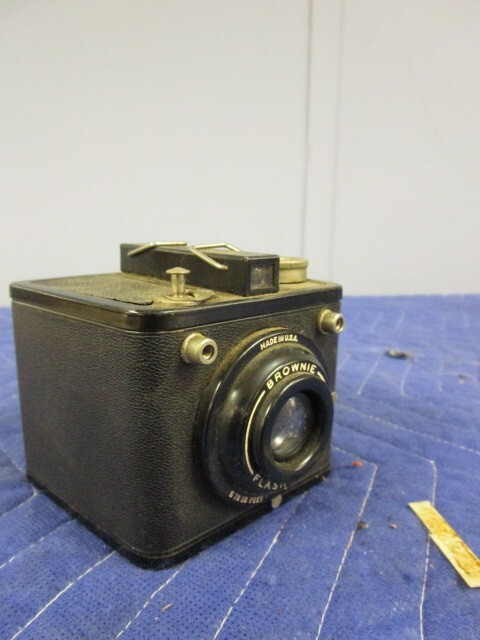 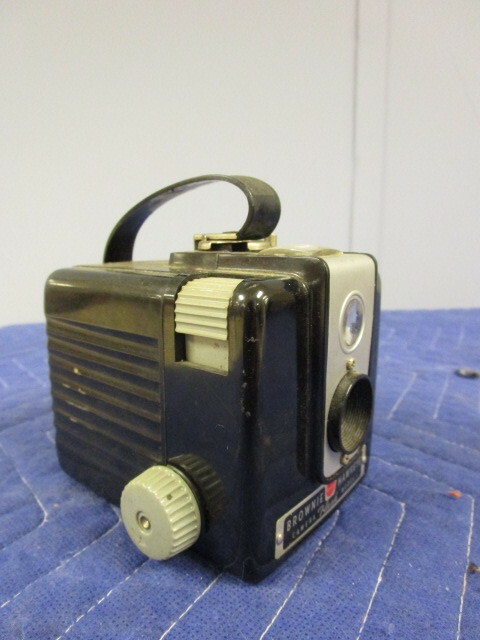 Vintage Brownie cameras. 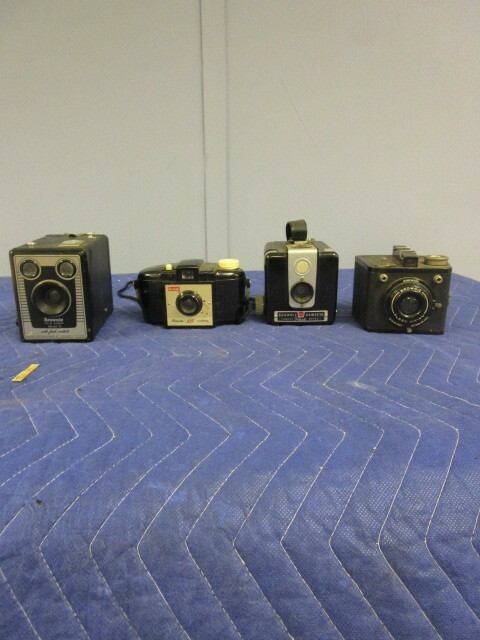 There are several models. 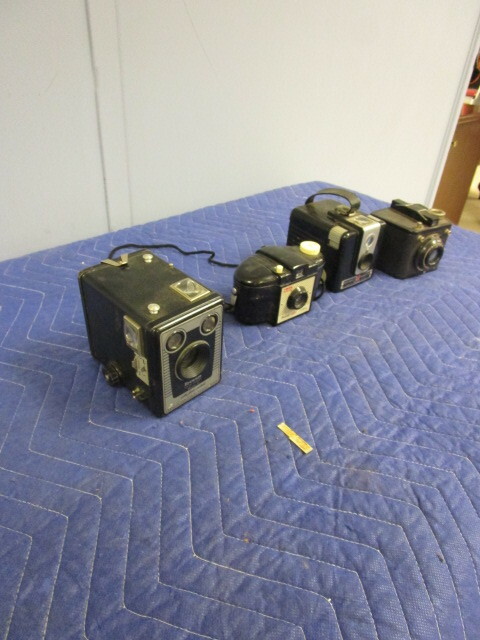 They id a Brownie Six-20 Model D, Brownie Flash Six-20, a Brownie Hawkeye and a Kodak Brownie 127. 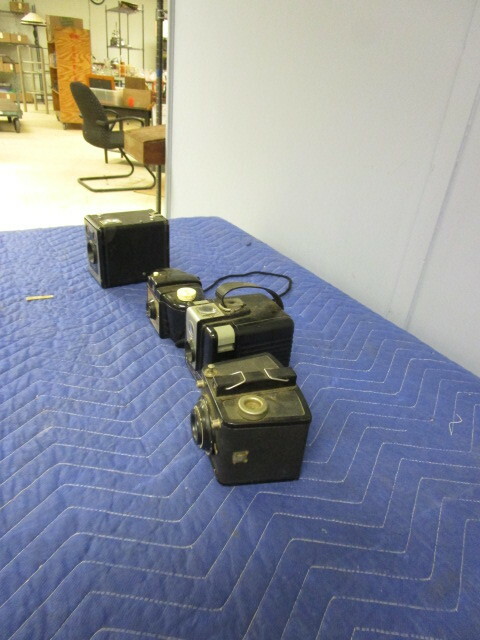 Working condition of cameras is unknown.